There’s Spam, then there’s Spam. Lately it’s been the spam blogs that have earned the ire of the legitimate bloggers around, whether pro or in it for the love of the medium. 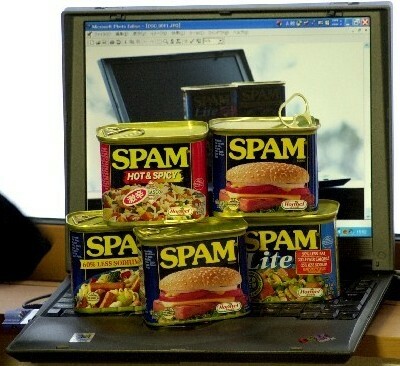 In essence, spam blogs or splogs are blogs set up to cater to a specific niche, theme or topic, and usually splattered with contextual ads. There’s nothing wrong with that, right? Well, if the content is lifted or plagiarized from others’ original work (usually without any attribution), then there’s definitely something to be angry about. We recently came across two such striking commentaries on splogs, or what are sometimes now called made-for-AdSense sites. Elliott Back recently discovered that some of his content was being scraped by a game blog. First, the copyright holder doesn’t have to publish excerpt feeds to prevent others from reproducing the work on their sites. Your feed is for your readers, not for content thieves. And, making a full feed as opposed to an excerpted one doesn’t give some kind of tacit approval of illegal copying. Second, the commerciality of Gamecentro doesn’t affect the potential loss of revenue due to duplication, and thus the violation of the copyright of the copyright holder. I am making money from this content–without uniqueness, I’ll make less money. Since copyrights exist to protect commercial interests, and duplicate content results in less revenue, the copyright is clearly being violated. Third, Gamecentro is not in accordance with Fair Use doctrine. While they do provide attribution, they are also copying the whole article and surrounding code. I would also argue that the following attempts at advertising make it a commercial site, as well as the “Ads by Google” ribbon. I’m opening up a philosophical can of worms here, but unidirectional money flows without informational or product reciprocation are unethical. Made-for-AdSense splogs don’t help anybody but the ArSE-O, and it’s this “every man for himself” mentality that is bloating out the web and rendering search results shady at best. Extracting money from a particular economy without providing anything useful in return is wrong. We couldn’t have said it better, Chris. Stealing content and earning from others’ work without authorization (and without giving back) is just wrong. With regard to copyright, Elliot’s site is riddled with copyrighted images that he publishes to increase CTR – I have also seen several instances of him copying word for word copyright articles. If that isn’t a blatant copyright violation, what is? And he says that all content in his site is HIS copyright! Not only does he reprint images that don’t belong to him but he also says nobody can reprint them because all content belongs to him! Nor is there much original content on his site, it’s just a mish mash of rehashed and rewritten stories that have already been written by someone else much better – he just does a good job of not making it not LOOK like a spam site. But it is. There is no passion it his writing he is just an article machine that churns out anything that will give good SEO and traffic. Elliot’s goal is to create as many articles as possible to drive traffic to his ads so people click on them. As for game Centro, nobody contacted the host and the site lives on.